This rigged RIB is shown at our warehouse by appointment only!! Schedule an Appointment Here! THIS PRODUCT CANNOT SHIP STANDARD GROUND OR TRUCK FREIGHT. It ships ONLY via Boat Hauler and requires special handling and prepping to ship. 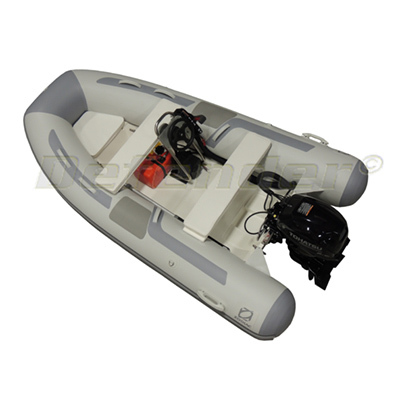 Please Email us at Inflatables@Defender.com for a valid shipping and handling cost estimate. This item may be available for Defender Store Pick Up as an alternative to Boat Hauler shipping.